> Lots of curious grey seals popping up for a look at the strangely noiseless, yet garish small human craft floating past them. > A juvenile common tern waiting on shore while its parents fought aerial wars with a seagull. > A host of other terns, guillemots, gannets, eider ducks (by the hundred! ), cormorants and gulls. > A handful of Lion’s Mane jellyfish. > The Rothesay ferries, ploughing back and forth. > Yachts trying to maximise the small puffs of wind available. 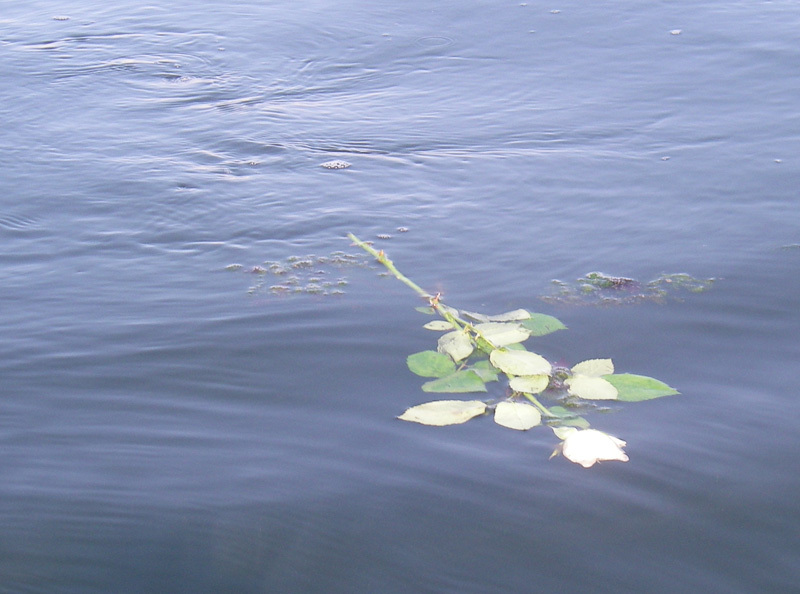 > Poignantly, a trail of roses cast on the water – in memory of a loved one perhaps. 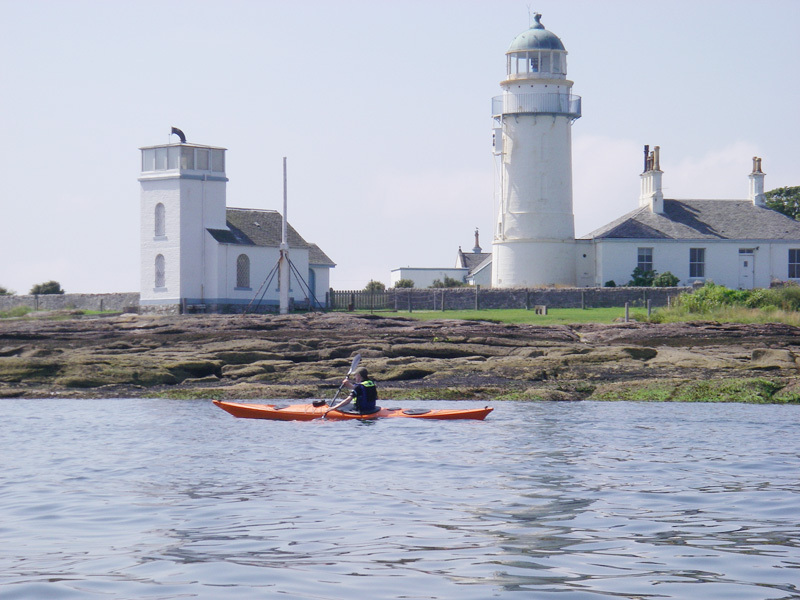 > Two other paddlers who had just finished circumnavigating Bute. > Plastic, of course: plastic bags, Coke bottles etc, which we did our best to clean up (it starts with one). Not bad for one afternoon on our doorstep. We spent some time at Ardyne Point practising hanging draws, cross bow rudders, edging and sculling. Alan unexpectedly practised capsizing, and we performed a successful assisted rescue. I find that there is a clear connection between my yoga practice and my kayak practice. For example, when sculling, if I over-think the action, I fail to achieve any flow as I tend to jiggle the boat too much, or shoot forward. On Sunday, as I sculled my way over to rescue a plastic bag, I found that if I instead focused on the “third eye”, as it’s referred to in yoga, and allow my mind to enter the flow of the water whilst balancing in the support of the water, I am far more successful. I must now try to extend this learning to other aspects of kayaking, such as rolling. By the way, that plastic bag that I mentioned was emblazoned with a statement about how the Co-op doesn’t test its cosmetic products on animals. It just seems a shame that their (and everyone else’s) bags end up choking other animals.